At Timber Ridge Animal Medical Center we strive to provide the latest in veterinary care for your canine and feline family members. We provide wellness, sick and surgical care as well as grooming and boarding services. We also provide multimodal pain management with medications, surgical CO2 laser, cold laser therapies and acupuncture. Vaccinations- Every patient has a different lifestyle and exposure risk which changes their vaccination needs. We follow the guidelines of the American Animal Hospital Association. We provide high quality vaccinations as well as non-adjuvanted/Purevax feline vaccinations. Puppy/kitten care and all life stage behavior consultation- Adding a new puppy or kitten is an exciting and fun time. It is also an information overload. We recommend that you bring your new family member in as soon as possible so we can help you with every question you have from household introductions to potty training and keeping your pet as healthy as possible. We also have puppy and kitten vaccination and spay/neuter packages available to cover their core health needs. Spay and Neuter- Spaying and neutering not only prevents unexpected litters and keeping patients closer to home. It also provides many health benefits. Un-spayed females are much more prone to mammary cancer and spaying prevents pyometra and ovarian cancer. Neutering male dogs eliminates their likelihood of testicular cancer and decreases prostatic disease. Anesthesia and Sedation- At Timber Ridge we consider your pet’s health to be top priority. We want your pet’s and your own experience to be comfortable and low anxiety. 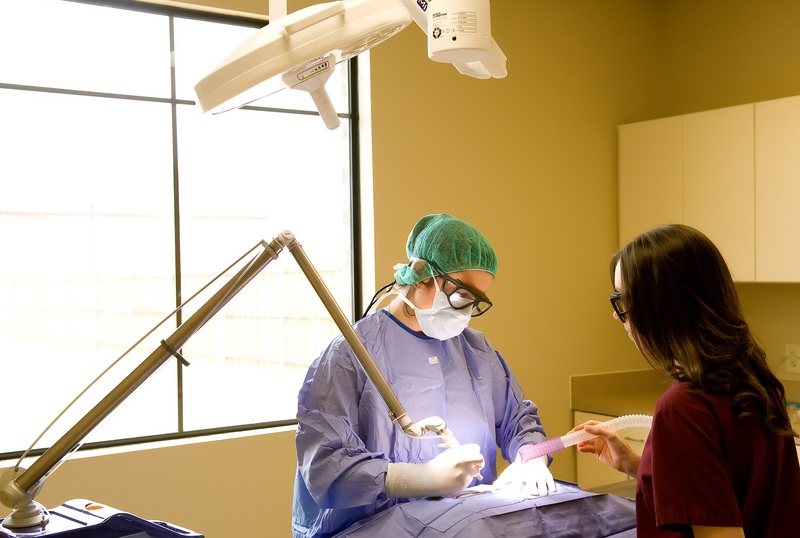 For our procedures that require anesthesia or sedation we do our best to provide the most current and safe anesthesia and sedation protocols possible. Patients anesthetized at our hospital receive an intravenous catheter and fluids, are kept warm while under anesthesia and are monitored by our technicians and state of the art ECG equipment. We also recommend that every one have blood work performed prior to surgery and require it on patients over seven years of age. Every patient has a customized plan to achieve and maintain the safest plane of anesthesia and smooth recovery. Dentistry- Good oral health is not only important because of the tartar, plaque and bad breath that your pet can develop it is also important to your pet’s general health. That tartar and plaque that you can see is loaded with bacteria that leads to gum disease and inflammation that can then effect other systems in the body. Often times these changes can go un-noticed until significant disease has developed. Timber Ridge performs full dental cleanings under anesthesia in an effort to keep your pets mouth healthy and happy. Anesthesia allows us to perform a thorough cleaning of the crown and under the gum line, polish each tooth smooth and perform any other dental procedures that may be necessary. In addition to routine dental cleanings we have dental radiography and perform advanced dental procedures to save and care for any teeth as needed. Wellness care/testing- Early diagnosis and treatment is the best way to increase the quality and extend the longevity of your pet’s life. We are here to help. We recommend routine examination so we can identify any issues, address any concerns you may have and discuss things like diet, parasite control, husbandry and health in an effort to help you make the best decisions for your pet and family. Pain management- Animals can experience pain just like we can but they can not use words to express themselves. There are often subtle and obvious changes that you may see in your pet’s gait, the way that they sit or their attitude and appetite. We will work with you and your pet to determine the best coarse of action from medications to physical therapy to advanced alternative treatments and even go over changes you can make around the house. 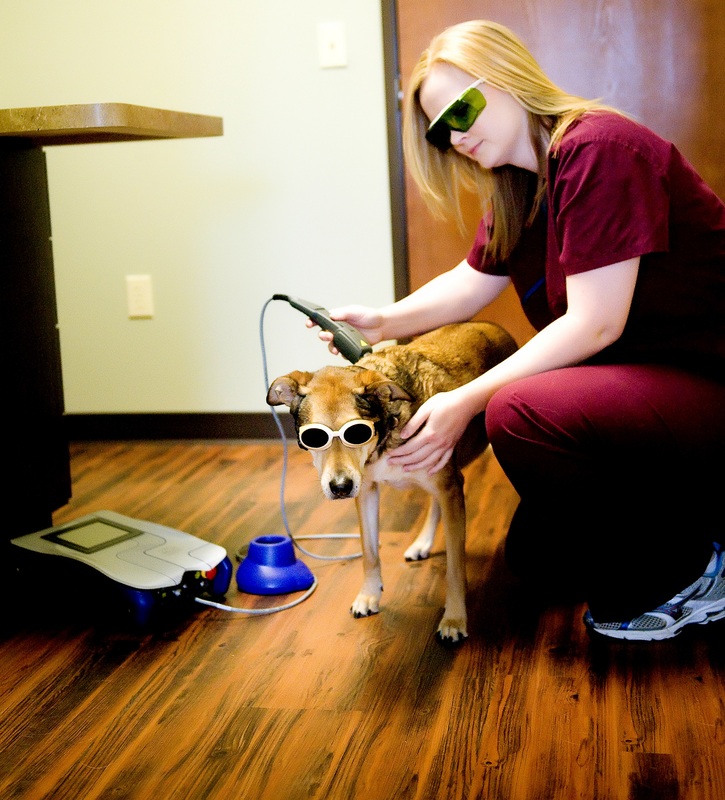 Cold laser therapy- We offer cold laser therapy for pain management and wound healing. Please schedule a consult to discuss different treatment options. Internal medicine- Care beyond just vaccinations. Our doctors and staff work hard to stay current on the newest and best medical and surgical therapies. We offer in house and outside laboratory services as well and radiology and ultrasound to help formulate a plan for your pets care. Pharmacy – Full in clinic pharmacy. Endocrinology care - Treatment of endocrine diseases like diabetes, thyroid and adrenal disorders can be complicated, scary and difficult to manage at home. We will provide the best of our knowledge and diagnostics to aid in making the best decision for care for your pet to keep the happy and well managed. Cardiology care- Cardiac disease can happen at any age. Some of these ailments can be repaired but many need to be managed to slow down progression. With medications and the right diagnostics we are here to get you the answers that you need. Dermatology care- Itchy skin, hair loss chronic skin issues? If you have any questions about your pet please come in so we can make a plan to get your pet feeling better. Radiology- Timber Ridge offers digital radiology for full body and dental images. Digital radiology is faster and often more precise than film and much easier to transport if needed for referral. Ultrasound- Timber Ridge has ultrasound available in house for STAT procedures, pregnancy checks and aspirations. If your pet requires more advanced ultrasonography or echocardiology we can also have specialists come in to our hospital or send your pet for referral. Laboratory testing- In clinic and outside labs- We are a stream lined facility. When blood work is performed on your pet, whether it be in the clinic or sent out, that blood work is immediately in your patient’s electronic medical record. We have the ability to run many tests in clinic so that we can get results right away in emergency situations and we also work with an outside lab to perform advanced and routine testing. Grooming and Boarding services- Please see The Lodge and Spa page. Not every vaccination and medication is the same. Through years of research and proven performance we provide what we have found to be the best quality products for the health of your pets. If you have any questions please ask and we will be happy to assist you. We also offer day admission services. We know you have a busy lifestyle and sometimes can not make it for a specific appointment time. You can drop off your pet with us for no additional charge when your pet is being examined that day. We do ask that you fill out the day admission form under Forms and Documents so that our doctor can review your pet’s history and contact you with a plan. If your pet is extremely ill or you have an emergency we do ask that you be present for the examination. Please note: Day admission is different than hospitalization. If your pet needs hospitalization with constant maintenance care additional charges do apply. Please let us know if you have any questions and we will always provide any estimates for care as requested. Timber Ridge Animal Medical Center accepts payment via cash, check, MasterCard, Visa and Care Credit. So that we can continue to provide you high quality service utilizing the best medical technologies, we request that payment be made at the time services are rendered. We can provide estimates for all surgeries and or hospitalization. If you have not received an estimate, you are welcome to request one at any time for your expected charges. Timber Ridge Animal Medical Center offers discounted services to senior citizens and veterans.